The mid-size sedan segment is as crowded and as competent as it's ever been, so Mazda knew it needed a new MAZDA6 to rule the class. That's exactly what the company has delivered. Exterior styling is eye-catching and evocative, while interiors are spacious, with high-quality soft-touch materials throughout. 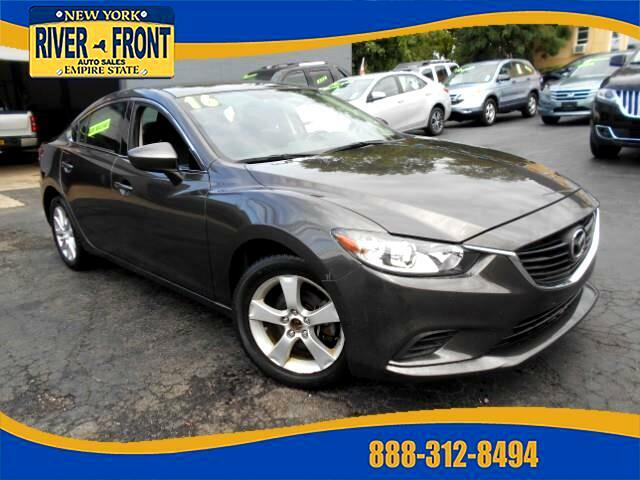 Power and fuel efficiency place the MAZDA6 near the top of the class. THIS VEHICLE COMES EQUIPPED WITH air conditioning, climate control, am/fm stereo on wheel, cd player, interval wipers, ABS, power door locks, power windows and mirrors, keyless and lighted entry, leather wrapped wheel, vanity mirrors, usb, aux, and phone ready.